Tonight on Dance Moms, the gals of the ALDC brought plenty of sass to the dance floor with three entertaining hip-hop routines. Or, at least, the ALDC’s version of hip-hop, which includes way too many leg extensions, turns and aerials. If Abby Lee Miller and her choreographers insist on throwing tricks in these dances, they can at least try for a few kip-ups or headsprings, or anything other than the signature tricks from the studio’s contemporary routines. Choreography issues aside, it was really fun to see Maddie Ziegler, Brynn Rumfallo and JoJo Siwa showing some real attitude. Unfortunately, their sass paled in comparison to that of their mothers, who, instead of supporting all three girls, decided to go on attack mode. I’ve come to expect this from resident mean girl Jill Vertes, but I was very surprised to see JoJo’s mother Jessalynn Siwa getting down and dirty as well. She’s managed to sidestep at least some of the drama this season, so her behavior seemed at bit out of character. Speaking of character, that’s what Siwa thinks Ashlee Allen’s daughter Brynn Rumfallo lacks. According to Siwa, Rumfallo was so lacking in her own personality, she had to copy JoJo’s. This is a completely ridiculous allegation. Sorry, Jessalynn, JoJo is not the first young girl to ever wear a bow in her hair. Rumfallo is a solid hip-hop dancer in her own right and she definitely does not have to copy the other ALDC girls in order to succeed. And so what if she typically wears a plain leotard and sticks her leg up in the air? It really doesn’t matter what she wears to practice, as long as she shows up and works hard. Could this be Siwa’s true colors coming out? She certainly didn’t seem like a sympathetic character tonight on Twitter. When a viewer expressed valid concern about her becoming the show’s new mean girl, she responded by trashing the Twitter user’s low follower count. It’s sad to see so-called role models setting a bad example for their daughters by making fun of young girls. 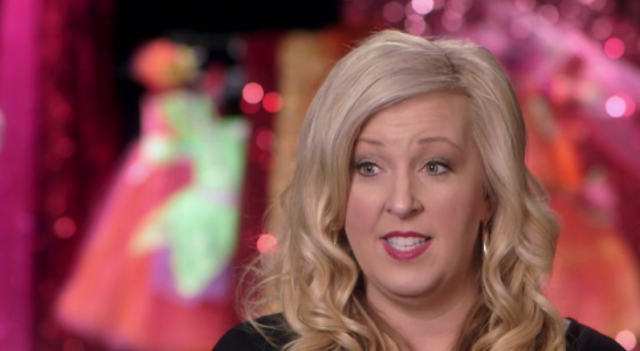 Jessalynn Siwa needs to show a little more empathy and remember how upset she was when the ALDC girls made fun of her daughter. 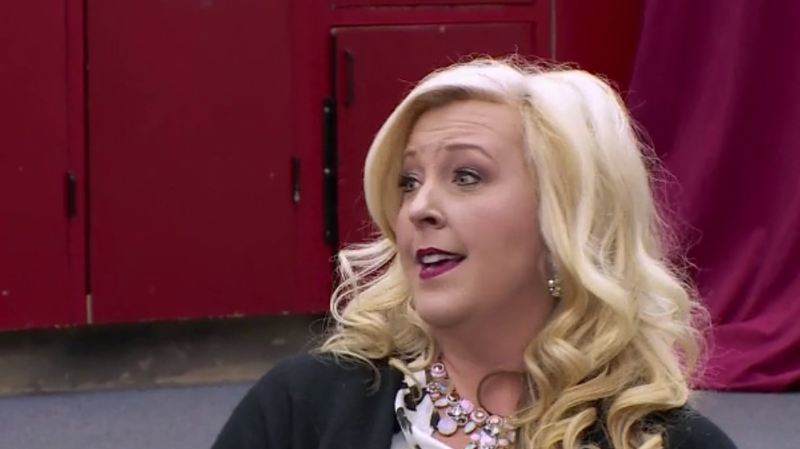 What did you think of Jessalynn Siwa’s behavior during tonight’s episode of Dance Moms? And how about those hip-hop solos? Comment and share your opinion below.